The HYDAC RM 270 light is a monoblock valve. It has a max. operating pressures up to 210 bar and max. pump flows up to 120 l/min. 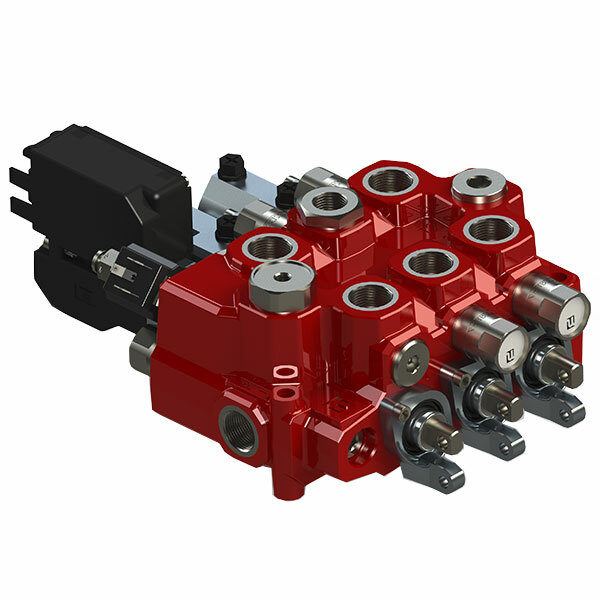 Therefore, it is available with 1, 2, 3, 4, and 6 sections per valve. Moreover, the valve comes with an open center for fixed displacement pumps. The valve operation can be manual or by pneumatic and electro-pneumatic remote control. The “Super Rapid” range of the valve is optimized for a maximum lowering flow of 185 l/min. It also allows lowering at the same time as another function is pressurized without the use of pump flow. The typical applications are cranes, tippers, refuse trucks, multi-bucket systems, and roller container vehicles. Several special versions of RM 270 light fulfil many other applications.